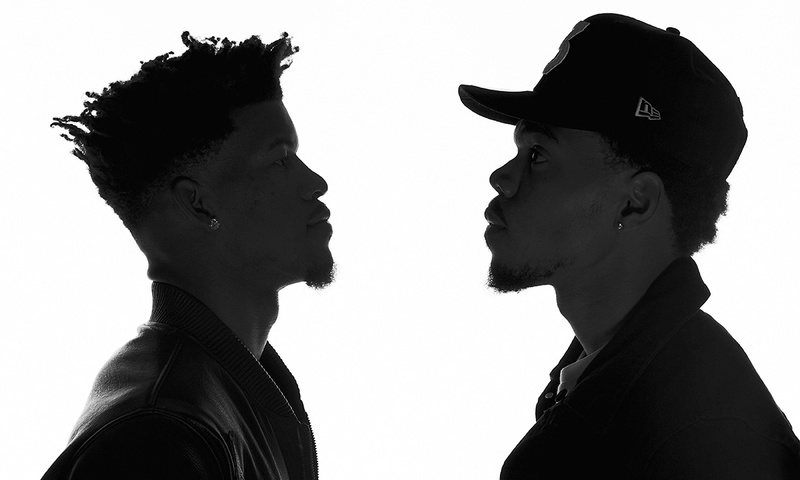 Chance the Rapper and Jimmy Butler are quickly becoming friends. The union between music and sports is nothing new, especially in a city like Chicago, where the fabric of both are so often used to heal, to inform and to explain. But these two also share unorthodox paths to success: Butler, now in his sixth year with the Bulls, went unnoticed out of high school, his ascension to NBA superstardom making him an anomaly in a league full of long-established stars; Chance, whose first mixtape was the product of a 10-day high school suspension, is now a record-label-shunning cultural tour de force. Neither expected to become a leader in his craft—and neither expected that would mean representing a city and its future. But with three Grammy Awards on top of a stirring and electrifying performance Sunday night and All-Star Game starting nods on their résumés, it’s tough for them to travel around Chicago—a city scarred by police brutality, gun crime and inequality in housing and education—and not hear their names mentioned as signs of hope. Neither Chance, 23, nor Butler, 27, takes his new status lightly. Both are inspired by the task of being young, gifted and black in a place that has produced icons like Chaka Khan, Kanye West, Walter Payton and Ernie Banks. Oh, and some guy named Jordan. Not to mention, it’s the adopted home of newly former President Barack Obama. Now both want to leave an impact on the community that has embraced them. They know they owe the Windy City that much. And they seem uniquely suited to the task. 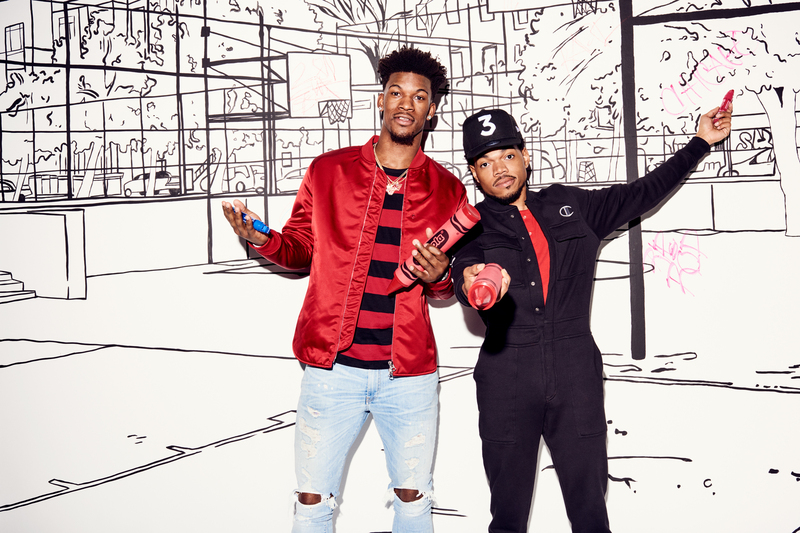 There’s a line from Chance’s 2016 opus, Coloring Book: “You ready, big fella?” Trading shots and lyrics on set, it looks like they’re both ready. In fact, their power positions suit them. TINSLEY: How’d y’all come to know each other? BUTLER: I came to Magnificent Coloring Day [Chance’s music festival held in Chicago last September] with Lil Wayne, and that was the first time I had bumped into him and talked to him. I followed his career and his music, and I love what he was doin’ for the city of Chicago. Another former teammate of mine, Joakim Noah, had met him and spoke extremely highly of him. I did a deal with a group that I do, BAM [Becoming a Man, a youth counseling group], here in Chicago, and all of these young kids wanted to be rappers. And I’m like, “Who’s your favorite rapper?” “Oh, Chance, from Chicago.” The hope that he puts in these kids’ hearts around this city is why he’s gonna be successful for a very long time, why his name is gonna be ringing for a very long time. This is his city. CHANCE: Thanks, man. I’m really good friends with Joakim Noah and with D-Rose, and really good friends with D-Wade now too since he got back. Since Jimmy started playing, there’s, like, a very excited feel about going to United Center and going to see the Bulls play. I think Jimmy adds character to the game. I got the jersey, I think, three years ago, and I always wear it to the games. I just always been a fan. TINSLEY: What is it about sports and music, specifically basketball and hip-hop, that’s always brought them together? CHANCE: To me, I feel like basketball and hip-hop have always been kinda conjoined because they’re very similar in their competitive nature, you know what I’m sayin’? It’s about technical skill, and then there’s just God-given talent. BUTLER: I think it has a lot to do with the competitive nature of everything and the respect that you have for somebody else’s craft. You always want to see if you can really do what they do on a daily basis. It’s not always as easy as it looks or sounds. TINSLEY: How fulfilling is it to know that you found success by doing it your way? BUTLER: It’s important. The way you live may change, but what’s in your heart—that can never change. You know, I keep the same people around me, as I’m sure he does. It’s all to keep you grounded, to remind you each and every day that you still are a kid from Tomball [Texas]. He still is a kid from Chicago. You can never lose sight of that. CHANCE: Definitely. I’ve grown up in this city a certain type of way that wasn’t necessarily orthodox for everybody else. I grew up durin’ the time that Chicago’s YOUmedia space at the library downtown was comin’ up. So I was involved in a lot of open mics and a lot of s— that most people aren’t exposed to. So when people say I do it my own way, I’ve just been doin’ it the way I was raised. TINSLEY: You’ve both been recognized in your crafts at the highest level. How does that feel? Butler: It makes you smile. Because all your hard work is payin’ off. But I try not to pay too much attention to what the outside world sees or thinks because they don’t know what we go through every single day. CHANCE: I feel the same way. I’m sure you wanted to play at the All-Star Game. I’m sure you been watchin’ ’em since you was a shorty. I’ve been watching the Grammys. There’s certain things I’ve just wanted to do my whole life. And when you get to those things, you just have to make sure that those are still checkpoints and not your end goal. TINSLEY: Jimmy, now that you’re the face of the franchise, how is dealing with team turmoil through the media different than in your rookie year? BUTLER: A lot of it falls on my shoulders. So the camera, the microphone, it’s always on me at all times. Everything you say now is always going to be blown out of proportion because you’re supposed to be the face of the franchise. You’re supposed to be the reason they win. You’re supposed to be the reason you lose. It really gets confusin’, the fact that it’s a team game. With that being said, I take it, I love it, because I think that only makes me better. TINSLEY: Whether you like it or not, you two are the new faces of Chicago. What’s that responsibility like? BUTLER: It’s cool because every morning, you just have to continue to be who you are, do what you did to get you to this point. That’s the way I look at it. And in this city, that’s all anybody ever asks of you is to work hard. When you bring that, they love you. CHANCE: I don’t know how Jimmy does it ’cause he’s not from here, but that’s a lot of weight, right? Just carrying, like, the reality of it, the aggression and, like you said, the hardworking attitude. But also being a person of influence in a city that’s so small, it’s so communal, everybody knows each other here. I was raised here, and it’s been kind of a fishbowl thing—I’ve swam around a bunch of times. But I feel very comfortable, and it’s good to still live here. TINSLEY: What is your comfort level in terms of social activism? Do you think it’s fair that so much is placed on celebrities to speak out? BUTLER: I don’t think it’s fair. But that’s life in general. You have to use your platform to inspire. You have to use your face, your voice, because it’s seen, it’s heard everywhere. Just like you’re there to entertain, to make great music, to score a basket. I think, at a certain point in time in your career, it’s gonna be your time to speak up on social matters that are goin’ on. CHANCE: I totally agree. It’s important to go against the grain. My favorite celebrity, across arts and sports and everything, is Muhammad Ali. And he was famous for speaking inflammatory things that were polarizing but also were important to building who he was as a man and his legacy. And in the end, he was right about most of the s— he was talkin’ about. TINSLEY: I don’t know if you saw the tweet from President Trump where he said he was going to send the feds into Chicago, citing violence. What does that say about this country, that we still view Chicago under that violence lens? CHANCE: I hope he’s coming in to do some type of federal overturn of our state and city budgets in terms of schooling and housing. I’m tired of n—–s talkin’ about Chicago like it’s a Third World country. Like, that it’s not a place of booming business with a very successful downtown and all types of new development. It sounds like he was announcin’ he was going to war with Chicago. I don’t like to look at s— through that lens. BUTLER: I just think it’s hard to relate to the people here if you can’t relate to them. If you keep throwin’ ’em in a category that they’re violent, no matter if they change or not, they’re still going to be in that category. You go down there and you change people’s lives. You make them want to do better for the next person. And that’s when Chicago is going to be a beautiful place, and nobody’s comin’ here talkin’ about how bad it is like he said, like a Third World country. ’Cause that’s not it. TINSLEY: How daunting is it knowing the perceptions that come with being young and black and male in Chicago? CHANCE: It’s heavy, you know what I’m sayin’? Like, I’m at the age where most of my friends have kids, and I’ve seen a lot of crazy s— happen, just in a Chicago fashion. To be a Chicago mainstay for a lot of people, you wanna give people familiarity, but you also want to give them something to look up to. So it is a hard balance. BUTLER: It comes with the good and the bad. But with that being said, I think there’s a lot more good that happens than bad. They look up to us. We give a lot of people hope. And I think that’s all you can ask for. That’s all you can want to do. This story is featured in ESPN The Magazine’s Entertainment issue.